This law is going through a reformulation and discussion process, seeking to allow compensation to be made by degraded area restoration, as well as by the conservation of areas that could be legally deforested. In addition, the compensation criteria, which was originally based only on the number of suppressed tree individuals, will consider a greater complexity of the areas' ecological characteristics, such as soil quality, exotic species proportion, native vegetation rarity and hydrological resources connection. 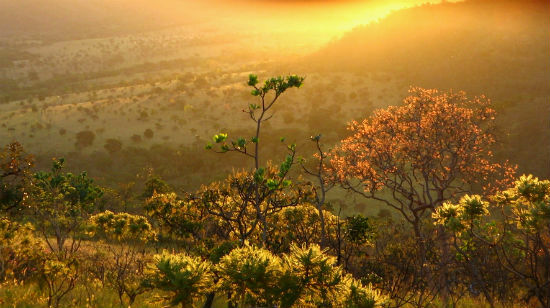 This study´s objective is to contribute to the compensation policy´s design process by defining the Ecological Equivalence levels - a set of comparable ecological values ​​of the Cerrado biome. These levels allow the calculation of Compensation Rates, which vary according to the potentially different characteristics of the areas to be suppressed and compensated. The use of the Choice Experiment method is one of the project's innovation. It is an economic valuation method based on the assessment of multiple hypothetical scenarios, allowing a quantitative interpretation of the experts' perception about ecological patterns and values ​​of the Cerrado biome. Thus, a formula for Compensation Rates calculation is one of this study’s results. While several policies only consider the deforestation area´s characteristics for the definition of compensation rates, we also took into account the areas’ characteristics to be conserved or restored for calculating these rates. Thus, this new policy will discourage the deforestation of areas with greater ecological value. Moreover, it would also encourage the creation of new conservation areas in zones of greater ecological value, as well as the allocation of more degraded areas for restoration processes. Moreover, a preliminary analysis of the current versus the new policy's costs was made for both compensation ways, which are conservation and restoration. The study´s results showed that making the law flexible and the use of environmental quality-weighted area’s criteria could generate costs gains, by allowing entrepreneurs to choose more effective alternatives, depending on the ecological benefits and conservation and restoration costs envisaged. Gains terms of environmental efficiency could also be generated. Thus, we hope that this study will contribute to an efficient design of the forest compensation policy, enabling it to achieve its conservation objectives with lower costs than the current ones. The study, funded by the ValuES project and the German Corporation for International Cooperation (GIZ), was elaborated in partnership with the Ministry of the Environment (MMA)and the Aliança Cerrado. To download our publications, please click here for our Policy Brief, and here for our Technical Series (publication in Portuguese). For more information about our workshops, click here, and about the different steps of our project, click here.